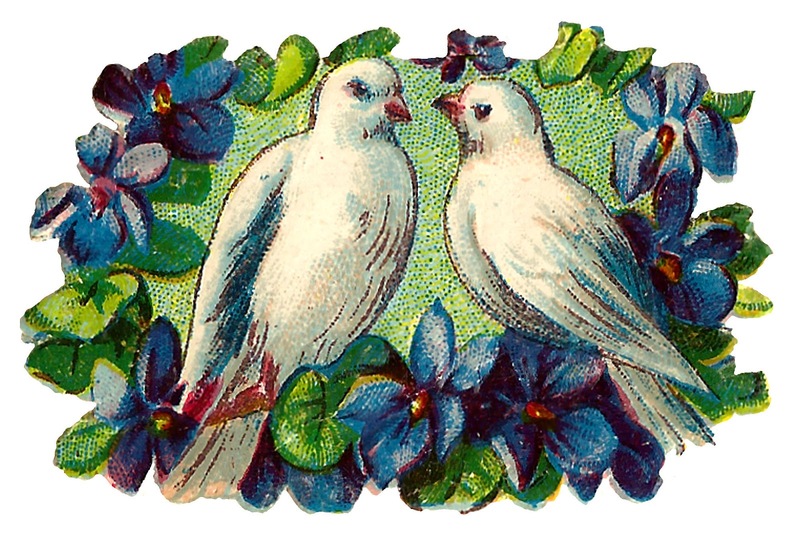 These are two romantic bird images of blue birds and doves surrounded by frames of violets and wisteria flowers. 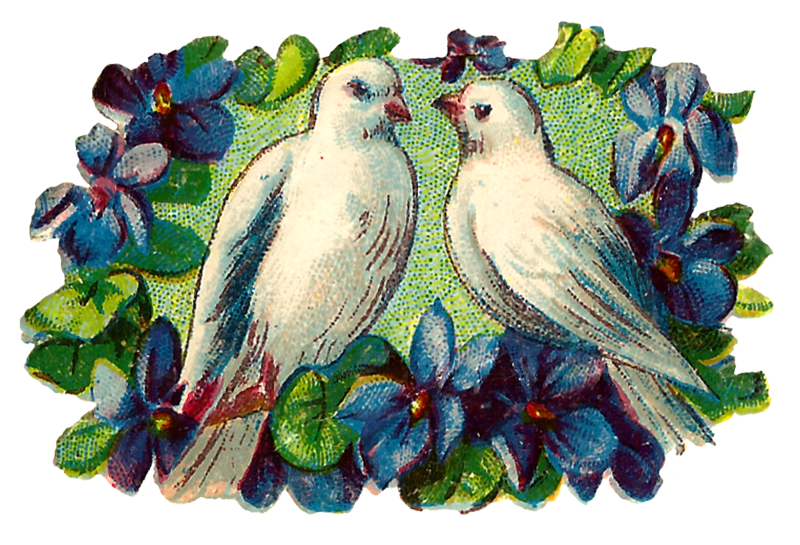 These pretty romantic clip art images are perfect for Valentine's Day crafting projects or simple love notes. 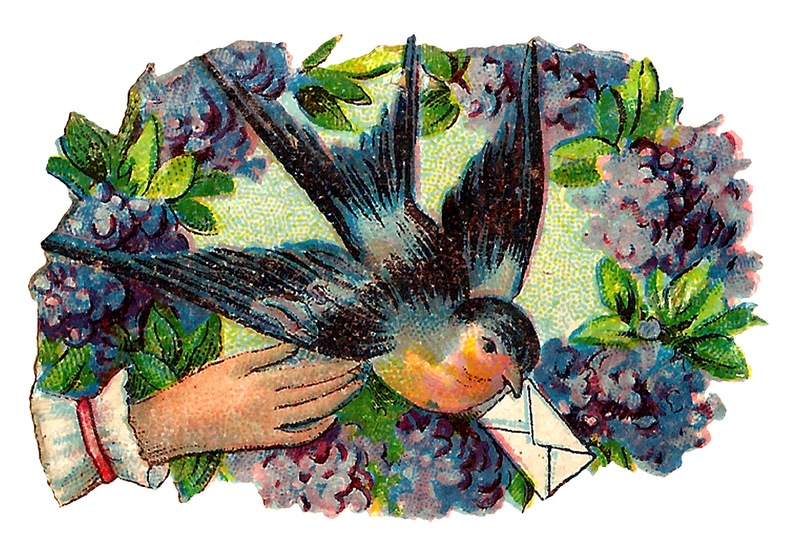 The firs digital bird image has a blue bird delivering and special note. 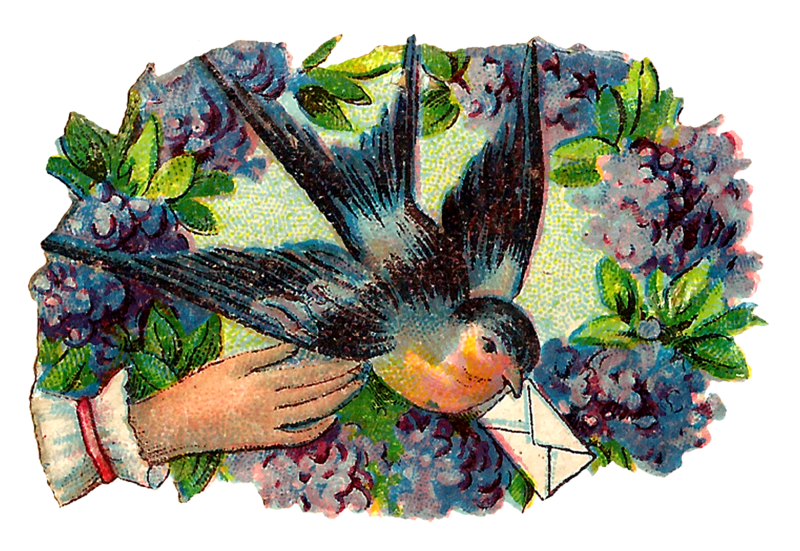 An outstretched hand is there to receive the note. The second romantic image is of two doves perched among violets.